Airline spokesperson said the woman was able to walk off the plane in order to be treated for minor burns, but her condition was not immediately known. Ottawa, Canada: A passenger was burned when her cell phone caught fire onboard a Canadian domestic flight Thursday morning, officials said. The incident occurred at 7 am (1200 GMT) as Air Canada flight 101 was preparing to depart the Toronto airport for Vancouver. 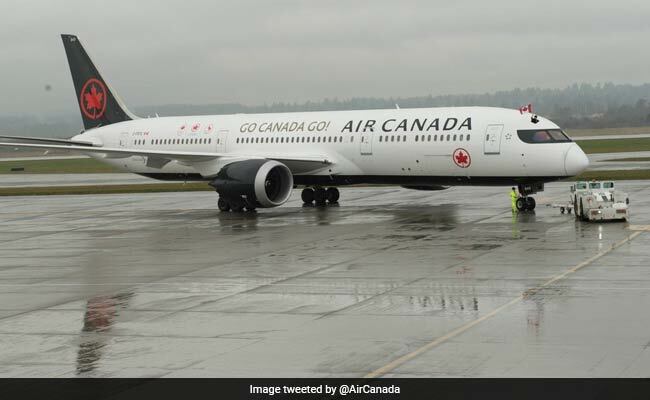 "The fire was immediately extinguished by crews and there was no damage to the aircraft, however, the owner of the phone suffered injuries and was treated by emergency services who attended the aircraft," Air Canada spokesman Peter Fitzpatrick said. He said the woman was able to walk off the plane in order to be treated for minor burns, but her condition was not immediately known. The Boeing 787 jetliner with 266 passengers, meanwhile, took off after a two-hour delay. The make and model of the phone was not made public. Air Canada's Near Miss Last Year Was Almost "Worst Accident In History"